How Do I Make A Claim Against An Insurance Company? What Damages May I Recover If I Am Successful In My Claim? 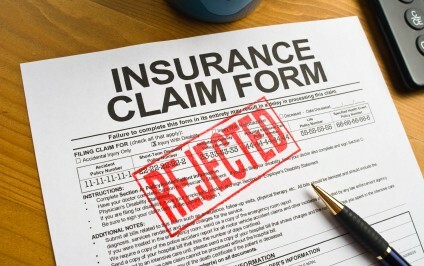 Will My Insurance Company Drop Me If I Make A Claim? The decision as to whether or not to bring a claim is an individual one which may vary with the particular facts surrounding each different automobile accident. However, there are many factors which you must consider before making a claim against an insurance company. In addition to knowing how to make a claim, you must consider whether the claim is still within the statute of limitations.You must also consider whether your insurance company may decide to drop your coverage or increase your premiums. You should also consider whether the potentially recoverable damages are worth the time, effort and expense of bringing a claim. It is the smaller accident with very minor injury and property damage that makes the decision to pursue a claim a more difficult one. And, as you might guess, not every claim requires the intervention of an attorney. All states have a statute of limitations which prevents a claim from being filed after a certain time period. This time period varies from state to state, but generally, the shortest time period to institute a claim is one year from the date of the accident. Louisiana, for example, has a one year statute of limitations for filing an automobile accident lawsuit. Other jurisdictions, like Texas, have a two year statute of limitations for automobile accident claims. Thus, if you are beyond the statute of limitations for bringing the claim, you cannot bring the claim even if you decide that you want to pursue it. If you are within the statute of limitations, the next factor to consider is your damages and injuries. Minor injury cases can be settled without instituting a lawsuit. However, imjuries which at first seem minor, may turn out to later be major, as in the case of a back strain that later is diagnosed as a herniated or ruptured disc. Make sure the injuries are minor and your recovery is either complete or near complete before definitively deciding not to pursue the case. All to often, an accident victim settles a case or allows the statute of limitations to pass without filing a claim and it later turns out that their injuries are severe with no chance of recovery. Thus, the medical care and your recovery should dictate the course of your decision in this regard.